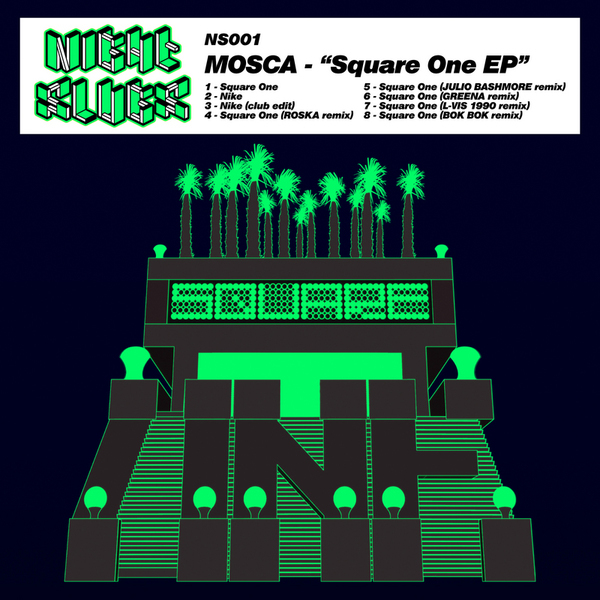 Night Slugs tighten their grip on UK floors with the oversized release of Mosca's 'Square One' and the epic 'Nike' backed with rmxs from L-Vis, Roska, Bok Bok, Julio Bashmore and Greena. Pretty much all of these cuts have become essential staples in the sets of Bok Bok, Ben UFO, Jackmaster and co over the last few months and we'd be hard pushed to pick a favourite between the two headline joints; do you draw for the R'n'B meets dub'n'Roll Funky of 'Square One', or the visionary clubscape of 'Nike', morphing from squirming boogie to convective Funky over 10 minutes? Either way, you're onto a major winner. For the remixes our money has to be on Bok Bok's version for the sheer mutant variation from the original, but Greena's bulging sub-loaded mix and Roska's spooky hot-stepper session are guaranteed party starters. Until someone comes up with a proper catch-all term for this club-blurred blend of Afro-house, garage and R'n'B, we'll just call it Tropical for now. Most essential dance cut of the year so far? Damn straight!